New research by Crystal Smith at The Achilles Effect looked at vocabulary used in television commercials for children’s toys. 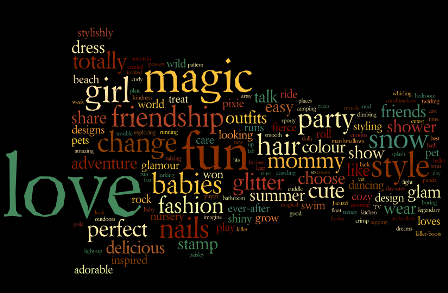 She found that the most commonly used words reinforced gender stereotypes. 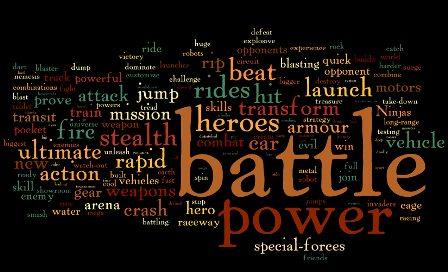 After analyzing 658 words from 27 commercials for boy’s toys and 432 words from 32 commercials for girl’s toys, Crystal was able to create a word cloud showing the most commonly used words in these TV adverts.